Welcome home gift bags for the 68 single submarine sailors who recently returned to Naval Submarine Base New London. As one of our missions, Thanks To Yanks supports our military members currently deployed. 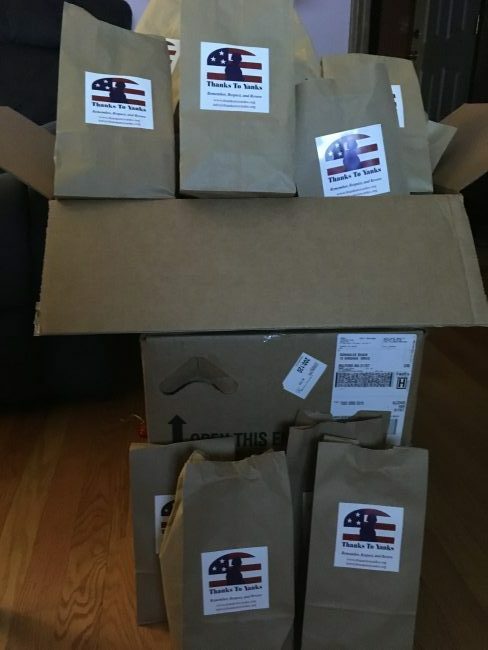 If you have an active duty service member and would like a care package sent, please visit http://thankstoyanks.org/care-assistance.